The McCrory Legal Defense Fund has paid at least $25,000 in attorneys fees thus far to a law firm defending a defamation suit involving voters who were falsely accused of election fraud. The total was reported as an operating expense to the State Board of Elections and Ethics Enforcement in a recent political committee disclosure report. It was paid on Jan. 10 to Raleigh law firm Blanchard, Miller, Lewis & Isley, according to the report. Philip Isley represents the McCrory Legal Defense Fund in a class-action lawsuit that was filed after the last gubernatorial election. Fifty-three election protests claiming voter fraud were filed across the state in the wake of that election — most, if not all, by Republicans defending former Gov. Pat McCrory after he refused to concede the race to current Gov. Roy Cooper. The Republican-controlled State Board of Elections ultimately dismissed all the protests. It was revealed after some of the protests were challenged that those Republicans were supplied information to file the protests by attorneys with the McCrory Legal Defense Fund, which had hired the Holtzman Vogel law firm in Virginia. Both the Defense Fund and the Vogel law firm are accused of conspiring to undermine the results of the election. Isley was in court in April to try to have the lawsuit — which was filed by four retiree voters, three from Guilford County and one from Brunswick — dismissed. 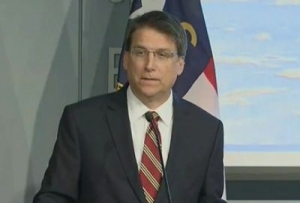 The Defense Fund was established by the Pat McCrory Committee while the former Governor was still fighting his loss. North Carolinians were solicited for donations to help make sure all votes were counted in the election. The website is still up and appears to still take donations. The Defense Fund also reported paying $2,400 in software fees to Aristotle, Inc., a company located in Washington D.C. that provides political technology and solutions to grassroots organizations, public affairs councils (PACs) and political campaigns in the United States and abroad. Other expenses reported include more than $11,000 paid in taxes to the IRS and the North Carolina Department of Revenue. The group has $69,552.28 “cash on hand” for this reporting period and $83,732.44 total this election.